The State Law Adviser from the Department of Justice and Constitutional Development (the Department) presented a summary of the written submissions, and the Department's response to each, submitted on the Maintenance Amendment Bill (the Bill). The Bill aimed to amend the Maintenance Amendment Act by introducing provisions for granting interim orders where there was no maintenance order already in place, so that beneficiaries of maintenance did not suffer if the case was postponed for any reason. Powers would be granted to courts to direct cellular service providers to hand over contact details of a maintenance defaulter. It was specifically meant to assist maintenance beneficiaries where enquiries had to be postponed when the defaulter could not be traced. The jurisdiction of Maintenance Courts would be extended to enable claimants to institute claims in areas where they worked. A further proposal to have the details of a defaulter provided to credit bureaus would prevent credit being extended while amounts for maintenance were outstanding. Other clauses would give effect to various judgments related to maintenance, including a person or his employer giving evidence to the court. In relation to clause 1, a submission was made that people should not be forced to formalise agreements through the court. The Department pointed out that the Bill was not attempting to do this. Existing arrangements would not be affected. The Department clarified that the proposals for the new section 6 were premised on no existing maintenance orders, but the wording could be amended to clarity this. Under clause 2, the Congress of South African Trade Unions (COSATU) submitted that it would cause hardship to women to pay the cost of providing contact information of defaulters to the courts, and wondered if the Department could set up a fund to cover such costs. Vodacom proposed that the fee for furnishing the court with the contact information of the user/defaulter should be paid in full prior to directing the service provider to provide the court with the prescribed information. To the first, the Department responded that state funding was limited, and this wording was drawn from similar provisions in the Protection from Harassment Act, and that the courts could make an order for recovery. Vodacom's suggestions could be streamlined when regulations were drawn. The Department was not in support of Vodacom's suggestions to define "prescribed information" and to impose time limits. The Committee expressed some concern that there was not an exact parallel with the Protection from Harassment Act, where most cases involved adults, and here, any hardship in payment would ultimately rebound to the disadvantage of the children. An alternative was suggested by the Committee that the defaulter should be held liable for any costs incurred in the tracing process. Another suggestion was made that section 8 of the Act already granted wide enough powers, so that either the proposed payment should be extended to others in addition to service providers, or be deleted from the Bill. The Department said the existing processes did not go into sufficient detail, and clause 2 was to be seen as mechanism of last resort, although it was possible to ask the South African Law Reform Commission (SALRC) to consider whether the suggestions might be included under section 20. The Department noted that the penalty suggested by the Commission for Gender Equality under clause 3 was already covered. It did not support the suggestions, for clause 4, by the General Council of the Bar for time limits to conclusion of enquiries, pointing out that there was now a possibility of interim orders. Mr van Niekerk suggested that no prima facie evidence should be required before granting an interim order, but the Department asserted that some form of evidence was needed, particularly where paternity was in dispute. The same commentator suggested that a court be empowered to make an interim order reflecting an offer by the respondent, even if disputed, but the Department explained this amendment was specifically directed to the case where no order was in place, although the Committee may wish to debate the merits of this suggestion. cMembers discussed, at some length, the common law where a mother might point out someone else as father, and how that would be treated as evidence, but the Department stressed that undue hardship was a consideration. Members felt that the best interests of the child was a primary consideration, but insisting upon evidence might lead to legal wrangles at the expense of the children. The point would stand over for further discussion. The Magistrates Commission presented its update reports on the status of investigations and disciplinary enquiries against several magistrates. In relation to Mr Kgomo, who was arrested on a charge of corruption, the National Prosecuting Authority had requested that the Magistrates Commission not proceed with the disciplinary matter until the criminal trial was finalised, for fear of prejudicing evidence, and the Commission agreed, pointing out that it was merely delaying its hearing, not closing it, and that it would ask for the same prosecutor to be assigned to its hearing. A status report was given on the finalisation of the part-heard matters of Mr Hole, who had originally been suspended, but Parliament had agreed to lift the suspension for the purpose of allowing him to finalise several part-heard matters in the Sexual Offences Court, to avoid severe prejudice to the parties. The disciplinary case continued in the meantime and the Committee would be informed of its progress. Members commented that they remained concerned about the long delays and numerous tactics employed in disciplinary hearings, and although a person had every right to use every legal avenue at his disposal, this sometimes came close to abuse of power. Ms Malahlela was charged with 29 counts of alleged misconduct but had, on 18 June 2014, she filed a Notice of Motion, with the Magistrate’s Commission and the Minister of Justice cited as respondents, calling for a ruling that the Commission's decision to charge her was incorrect and unlawful. This hearing was now to continue on 11 May 2015, a date agreed with her attorney. Mr Rambau had been arrested for corruption in February 2010 and after a very protracted process, he had now tendered his resignation as magistrate, which meant that the Commission no longer had jurisdiction to continue with its inquiry. Members asked if he would be precluded from applying for employment again, and the Commission responded that before being appointed to such a post, the Magistrates Commission would be asked for comment on any actions taken. The last case related to Mr Morake, who was provisionally suspended in November 2010 and was convicted, and sentenced, on two charges of theft. His disciplinary matter had been postponed to afford him the opportunity to appeal against the criminal conviction. The inquiry had been postponed on numerous occasions, and should be finalised in the next few weeks. Members noted and accepted the reports. Adv Theresa Ross, Principal State Law Adviser, Department of Justice and Constitutional Development, presented an overview (see attached document for full details) of the submissions, and the responses by that Department, on the Maintenance Amendment Bill (the Bill). The Chairperson asked what the broad objectives of the Bill were. Adv Ross said the aim of the Bill was to amend the Maintenance Amendment Act by introducing provisions on granting interim orders, where there was no maintenance order in place, so that beneficiaries of maintenance did not suffer if the case was postponed for any reason. Other provisions included powers granted to courts to direct cellular service providers to hand over contact details of a maintenance defaulter or a ‘would be respondent’ in a maintenance claim. The Bill specifically was meant to assist maintenance beneficiaries where the normal enquiries had to be postponed because the maintenance defaulter or a ‘would be respondent’ could not be traced. The Bill also intended to extend the jurisdiction of Maintenance Courts to enable claimants to institute claims in areas where they worked, not only in the areas where they resided. There were also proposed provisions to have the details of a person owing maintenance forwarded to credit bureaus. This provision would ban persons owing maintenance from continuing to receive credit. The Bill also aimed to give effect to various judgments relating to maintenance. In particular, a court instituting a maintenance order against a person should give that person or the employer of that person an opportunity to give evidence to the court. Adv Ross took the Committee through the proposals and the comments by the Department of Justice and Constitutional Development (the Department) on each clause. Mr J Van Niekerk submitted that while a remedy should be created for persons who managed to come to some form of an agreement, to be able to formalise their agreements by means of a court order, this remedy should not shut the door on those persons who did not want to involve the courts. The Department’s view was that where parties could agree on their own on maintenance, there was no reason they should be forced to go to court, and the Bill did not affect this position. Mr Van Niekerk further said that evidence was frequently tendered, during maintenance matters, that parties had reached an agreement which was in conflict with the existing maintenance order. He contended that the wording of the proposed new section 6(1)(c) would allow maintenance defaulters to raise the excuse of alleged verbal agreements that departed form an existing maintenance order. The Department disagreed with this. Ms Ross pointed out that the proposed new section 6(1)(c) envisaged the situation where no maintenance order existed. If there was an existing maintenance order in place, there was no room for verbal or written agreements between parties. The parties could approach the court to amend a maintenance order, but once a maintenance order was in place, it should be complied with. In order to address ambiguities, section 6(1)(c) could be reworded to read: “that good cause exists for the substitution or discharge of a verbal or written agreement in respect of maintenance obligations in respect of which there is no existing maintenance order”. The Congress of South African Trade Unions (COSATU) submitted that the requirement that complainants pay for the cost of providing contact information of defaulters to the court would cause hardship to women. Instead it proposed that the Department of Justice and Constitutional Development should establish a fund from which such costs could be paid. Adv Ross pointed out that state funds were limited. The question would inevitably arise why harassment complainants, who were also often women and children, did not enjoy the same benefits in terms of the Protection from Harassment Act, which similarly required victims to pay for these costs. The Maintenance Court could, in terms of clause 8, make an order for the costs to be paid by the maintenance defaulter. The Chairperson said complainants acted on behalf of children, and children would suffer if the money could not be paid. Adv Ross replied that the Bill also provided that the courts could make an order for the costs to be paid by the maintenance defaulter. Vodacom submitted that the words “prescribed information” be defined. The Department pointed out that the Act already defined the word “prescribed” to mean prescribed by regulation. It was not advisable to also define “prescribed information”, as the Bill and the Act contained words such as “prescribed forms” and “prescribed manner”. Vodacom proposed that information should be provided to the Maintenance Courts within 30 days of receiving the notice. The Department responded that determining the days within which to provide the information might be too restrictive and might not work for all service providers. It would also take away the discretion of the Court and experience had shown that inflexible provisions gave rise to problems. Vodacom also submitted that in instances where the employer had taken a post-paid contract on behalf of its employee, the contract information of the user would be in the possession of the employer. The Bill should make provision for the transfer of the request to the employer of the user. The Department responded that the Bill provided for service providers to apply for cancellation of the directive on a ground that it did not have the information on record. The service provider would then be in a position to indicate this to the Court and the provisions in section 8 of the Act could be invoked. Vodacom proposed that the Bill make provision that the fee for furnishing the court with the contact information of the user/defaulter should be paid in full prior to directing the service provider to provide the court with the prescribed information. The Department responded that the payment process could be streamlined in the regulations. The Chairperson asked if access to justice for children was now being made dependent on market forces. Adv Ross said these service providers were businesses. As the Bill stood now the costs were being borne by the complainant, although the Court was empowered to make to make the defaulter liable in some cases. Mr L Mpumlwana (ANC) asked why there could not be a provision that the costs would be claimed form the defaulter. Adv Ross replied that in some cases maintenance defaulters were never traced. This wording was based on the similar provision in the Protection from Harassment Act. The Chairperson said the majority of harassment cases involved adults, but this Bill’s focus should be on ‘the best interest of the children’. Mr S Swart (ACDP) said perhaps clause 2 should be refined to provide that the defaulter should be held liable for any costs incurred in the tracing process. Adv Ross noted that Mr van Niekerk had submitted that section 8 of the Act granted the maintenance courts powers that were wide enough to obtain information, even from electronic service providers. A maintenance officer should be able to decide which course of action should be taken in tracing a defaulter. The requirement that the tracing by electronic service providers should be used as a last resort should be deleted from the Bill. Proposed payment of tracing costs should be extended to other institutions or, alternatively, the payment of costs should be deleted from the Bill. If the payment of costs for providing information was retained in the Bill then it should be provided for in section 8 of the Act. The Department responded that Section 8 of the Act did not have the detailed process provided for in clause 2, and it was therefore inadequate for purposes of tracing defaulters. The mechanism in clause 2 was also used as a measure of last resort and any directive should be authorised by a court. It was necessary to have uniformity in the tracing of defaulters. Allowing maintenance officers to exercise discretion around the use of electronic service providers would give rise to inconsistencies. Extending the proposed payment of tracing costs to other institutions could possibly be explored by the South African Law Reform Commission (SALRC) which was currently busy with an investigation into the maintenance system. Section 8 of the Act dealt with a different type of examination of persons by the maintenance officer, while section 20 dealt with cost of orders. The amendment was more appropriately placed in section 20. The Commission for Gender Equality (CGE) proposed a penalty provision in respect of a conviction of a person who wilfully failed to comply with a subpoena, or furnished the court with incorrect information. A fine or period of imprisonment not exceeding one year was proposed. The Department responded that this was already catered for in terms of existing law. The General Council of the Bar (GCB) proposed that the Bill should set limits for the conclusion of maintenance enquiries. The Department replied that setting limits was undesirable, as it would take away the discretion of the court. The Bill enjoined the court to conclude maintenance enquiries as soon as possible and to limit postponements. An interim order would ensure that the beneficiary received maintenance and the person obliged to pay maintenance would also not delay the matter unnecessarily, as an interim order might not be in his or her favour. Mr van Niekerk submitted that the requirement that prima facie evidence should exist before an interim order could be made was setting the bar too high. The Department responded that orders of this nature should be based on some evidence. The need for prima facie evidence also catered for cases where paternity was in dispute. Mr Van Niekerk had also submitted that the proposed amendment did not go far enough and did not cater for instances where a respondent made an offer for an increased maintenance payment which was unacceptable to the applicant. The Maintenance Court should be able to make an order on the basis of the amount offered by the respondent, albeit on an interim basis, which would go a long way in addressing the needs of the applicant, as opposed to no relief at all. The Department responded that the intention of the clause was to put in place a mechanism for the making of an interim order when there was none already in place. If interim orders were to be made in the case of existing maintenance orders, it was suggested that they be included in section 16 of the Act. They should, moreover, be referred to as “interim orders substituting existing maintenance orders”. There was merit in the submission by Mr Van Niekerk, which the Committee might want to consider. Any amendments for such purposes would require further research and possible consequential amendments. Mr B Bongo (ANC) said it was a principle in law that whoever was pointed out by the mother to be the father of a child would be considered that child’s father, until proven otherwise. He asked how that prima facie evidence related to the principle. Adv Ross said the issue of paternity was a matter of evidence. If the alleged father disputed paternity then he needed to provide the court with some sort of evidence to the contrary. The Chairperson clarified that the issue was that an interim order would be granted on the presumption of paternity, based on the principle of the law. Adv Ross replied that it would still be a matter of evidence, because both sides needed to provide evidence of some sort. The provision further stated that the court needed to establish whether the complainant would suffer ‘undue hardship’, meaning that the applicant should make a proper case for an interim order. Mr Bongo said it was still unclear. A person might be pointed out as the father, and he asked what would happen in the interim if paternity was disputed. The process of paternity testing was often a delaying tactic and if a person was proven not to be the father, he could always claim money back. Mr Mpumlwana agreed with the Department in that there should be some level of backing evidence other than merely naming someone as the father of a child. Mr W Horn (DA) said “the best interest of the child” could never override a situation where someone could merely name any man as the father. It could not be accepted in law. There might well be cases where one man was selected by the mother who had been involved with more than one partner, because he was financially better off. The Department was quite correct in saying that such issues could not be decided merely on the say-so of the mother. It was in the interests of the child to ascertain the facts as quickly as possible and finalise the maintenance enquiry as soon as possible. The alleged father should pay maintenance in the interim, but it would not be a simple issue to claim money back from either the mother or the real father, since the fact that the issue was before the maintenance court implied scarcity of money. The Chairperson suggested that the social consequences be considered, and the law should be guided by the “best interest of the child” principle. If prima facie evidence was made a condition, it could create unnecessary legal wrangle in court, at the expense of the children. Mr van Niekerk submitted a person against whom a maintenance order was made might also suffer undue hardship - for instance where the respondent could not afford to continue paying maintenance as a result of having been retrenched. This clause should be extended to also cover a person against whom a maintenance order was made. The Department responded that these comments were made on the assumption that interim orders could also be made in respect of existing maintenance orders. The Chairperson asked that the further discussion on this point stand over until the following day. Mr Hans Meijer, Judicial Quality Assurance Officer, Magistrate’s Commission, provided the Committee with status reports on the disciplinary cases of magistrates currently before the Commission. Mr Kgomo was an additional magistrate at Randburg who he was arrested during the afternoon of 5 December 2013 and appeared in the Randburg Regional Court the following day on a charge of corruption. The Magistrate’s Commission charged Mr Kgomo with misconduct. The National Prosecuting Authority (NPA) requested the Commission not to commence with its disciplinary hearing/inquiry against Mr Kgomo at that point, since it was of the view that it would prejudice the state's criminal case against him. The Chairperson asked whether the disciplinary case would continue if Mr Kgomo would be convicted. Mr Meijer said the Commission would continue with its processes after the trial. Mr Bongo asked how the state’s criminal case could be influenced by a disciplinary hearing. Mr Meijer said that if witnesses gave evidence in a disciplinary hearing, before giving evidence in a trial, the testimony of these witnesses would give the defence the opportunity to preempt and use any discrepancies, because of the differences in the burden of proof between the criminal and disciplinary matters. Mr Bongo said the Committee was aware of the differences in the burden of proof for the two processes. The disciplinary hearing required a balance of probabilities while a criminal case needed proof beyond reasonable doubt. There had been a similar case and request before the Committee in the past, and the applicable legislation needed to be followed to the letter. Mr Swart said this was a challenge that this Committee had been grappling with for many years, where the disciplinary process was delayed pending the outcome of criminal trials. The Committee did not want to prejudice the criminal case, and this case in particular had the potential for very sensitive evidence. There should be consistency in how these issues were handled. Mr Mpumlwana felt that, in light of the seriousness of the case, the NPA's request to delay should be granted. Mr Horn said the Committee should bear in mind that Mr Kgomo was charged at the disciplinary hearing. Essentially, the request was not to discharge the disciplinary process, but merely to delay it pending the outcome of the criminal trial. It boiled down to the seriousness of the matter and it did not only deal with employment related charges, but also with a criminal matter. Mr Meijer confirmed that Mr Kgomo had already been provisionally suspended from office, confirmed by Parliament. The Commission had further resolved to approach the NPA with a request to release the prosecutor tasked with the criminal prosecution, once that had been finalised, to also lead the evidence in the misconduct hearing. The Commission would keep the Committee up to date on a three-monthly basis on the progress of the case. The Committee agreed that the misconduct hearing should be postponed pending the outcome of the trial. On 19 June 2013, Parliament resolved to uplift the provisional suspension of Mr Hole, a regional magistrate in Kimberley, to complete his partly heard matters. An updated list of part-heard matters was attached. Mr Meijer confirmed that 21 of the original 26 part-heard matters had been finalised in the meantime. The misconduct inquiry against Mr Hole was set down for the hearing of evidence on 29 July 2013. After numerous motions and applications by Mr Hole, the matter had been partly heard, but was postponed to be heard on 23 February, then postponed again to 27 February, then 23 March and then to 27 March 2015. Follow up reports would be submitted to Parliament on a regular basis to report on progress with the finalisation of Mr Hole’s partly heard matters. Mr Meijer said Mr Hole had every right to exercise these legal avenues, but it prolonged the process and its conclusion of the disciplinary matter. The Chairperson agreed and said although Parliament had the right to amend legislation, while it was in place it had to be respected. Mr Bongo asked what the state of affairs was with a magistrate who had to complete his partly-heard matters while undergoing a disciplinary process. Mr Meijer said Mr Hole was assigned to the Sexual Offences court and his provisional suspension was lifted only to allow him to finalise his cases in the interest of justice. No new cases had been assigned to Mr Hole. Mr Swart clarified that the previous Parliament's Committee had agreed to lift the provisional suspension of Mr Hole to permit him only to finalise his partly heard matters. This report was an update on how far those cases were. It did not actually concern itself with the disciplinary process, because this report was specific to what the Committee had requested. The disciplinary case continued in the meantime, and the Committee would be informed of its progress in due course. The delay in finalising disciplinary cases was a concern and although a person had every right to apply the law, the Committee was frequently told that classic delaying tactics were employed which was essentially a case of abuse of powers. The Chairperson said the Committee, at this point, was concerned about the partly heard matters and the issues of delays would have to be dealt with by the judiciary to complete this process. Mr Meijer reported that the Magistrates Commission had conducted a preliminary investigation into numerous complaints of alleged misconduct, and had charged Ms Van Schalkwyk with 24 counts of misconduct. The Presiding Officer had postponed the inquiry to 20 April and 21 April 2015. Mr Meijer confirmed that Ms Malahlela was an aspirant additional magistrate at the Delmas District Court. However, her acting appointment could not be finalised to a permanent appointment, because of poor performance, irregularities in her work, absenteeism, refusal to execute lawful orders, major delays in delivering judgments, failure to finalise matters and poor utilisation of court time. Her evaluation reports indicated that she was not a fit and proper person for appointment as a magistrate. A charge sheet comprising of 29 counts of alleged misconduct was served on her on 5 March 2014. On 18 June 2014 Ms Malahlela filed a Notice of Motion at the North Gauteng High Court, citing the Magistrate’s Commission and the Minister of Justice as respectively the first and fourth respondents. She applied for an order of the Court, inter alia, to declare the Commission's decision to charge her with misconduct to be wrongful and unlawful. The application was opposed. The Commission was not aware at this stage whether Ms Malahlela took the matter any further. At its meeting held on 31 October 2014 the Commission considered the content of an email message from Ms Malahlela's attorney requesting the Commission not to proceed with the disciplinary hearing pending the outcome of the High Court Review application. The Commission resolved to stand by its earlier decision that the misconduct hearing should proceed notwithstanding the pending litigating in the High Court. The Commission was of the view that the pending litigation involved a motion application to review certain decisions which were taken by the Commission, and should not be confused with the legal position relating to appeals. Ms Malahlela's attorney was advised accordingly. The Commission had now, in consultation with her attorney, set the date for the hearing to commence on 11 May 2015. The Committee accepted this report and would await the follow up report on the matter. On 8 February 2010, the Regional Court President of the Limpopo Province informed the Commission that Mr Rambau, a regional magistrate at Polokwane, had been arrested for corruption on 5 February 2010. It was alleged that Mr. Rambau, the prosecutor and an attorney had, for financial reward, arranged the outcome of a trial by pre-determining the sentence. After a lengthy process, a date for the disciplinary hearing to continue was to be determined after consultation with the Presiding Officer and Mr Rambau's attorney. Mr Rambau, however tendered his resignation, with immediate effect, on 6 October 2014. Since he had vacated the Office of Magistrate, the Magistrate’s Commission no longer had jurisdiction to proceed with the disciplinary hearing against him and had therefore discontinued the hearing and closed its file on the matter. Mr Horn asked what the position of the Magistrate’s Commission was on a magistrate that resigned while the disciplinary hearing was still pending. He asked if a record would be kept on the magistrate, because there were many public servants who would be charged and then resigned, the disciplinary matter was withdrawn and they merely then moved on to another post in another department. Mr Meijer said that before an appointment was made to the Magistracy, the Minister or the Deputy Minister requested the Magistrate’s Commission to investigate the candidate. The Commission had a database that kept record of any and all disciplinary actions taken against an individual. Mr Meijer reported that Mr Morake was provisionally suspended from office with effect from 4 November 2010 and the suspension was confirmed by both Houses of Parliament on 18 and 24 November 2010 respectively. Mr Morake was the magistrate and Judicial Head at Lichtenburg. On 13 July 2007, he appeared in the Lichtenburg District Court on three charges of theft. He was convicted on two of the three charges and he was sentenced to four years imprisonment on each count. The sentences were to run concurrently. The Magistrates Commission charged Mr Morake with several counts of misconduct, which were contained in a charge sheet, which was served on him on 29 December 2010. 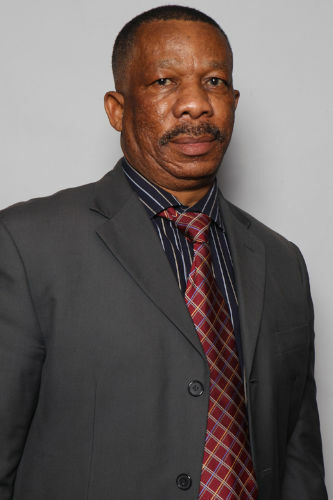 On 24 June 2011 the Presiding Officer granted Mr Morake a further request for postponement, until 11 July 2011, to give him the opportunity to file an application for leave to appeal against his criminal conviction, which must then be given to the Presiding Officer. The appeal had not been filed yet, since both parties were experiencing difficulty in having the record of proceedings reconstructed. A decision by the Magistrates Commission to withhold Mr Morake’s remuneration, in terms of section 13(4A)(a) of the Act, was confirmed by Parliament on 24 November 2011. Mr Morake was therefore currently not receiving any remuneration whilst the misconduct inquiry was proceeding. After many postponements and a partly heard hearing, the inquiry was postponed but the Commission hoped to finalise the hearing in the next few weeks. The Chairperson asked that further recommendations be forwarded to him, and he would then circulate them to the Committee. He commented that the transformation of the legal system should not be limited to just the structure; it should also be focused on the content.